Here in the West people are celebrating Fathers day. So today we honor our our Father with some quotes on Father. …I am your Spiritual Father, and Krishna is your Spiritual Husband. A girl can never forget either her father or her husband. …Our Kṛṣṇa consciousness movement is genuine, historically authorized, natural and transcendental due to its being based on Bhagavad-gītā As It Is. It is gradually becoming the most popular movement in the entire world, especially amongst the younger generation. It is becoming more and more interesting to the older generation also. 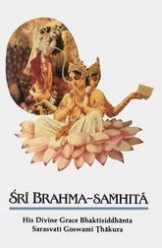 Older gentlemen are becoming interested, so much so that the fathers and grandfathers of my disciples are encouraging us by becoming life members of our great society, the International Society for Krishna Consciousness. 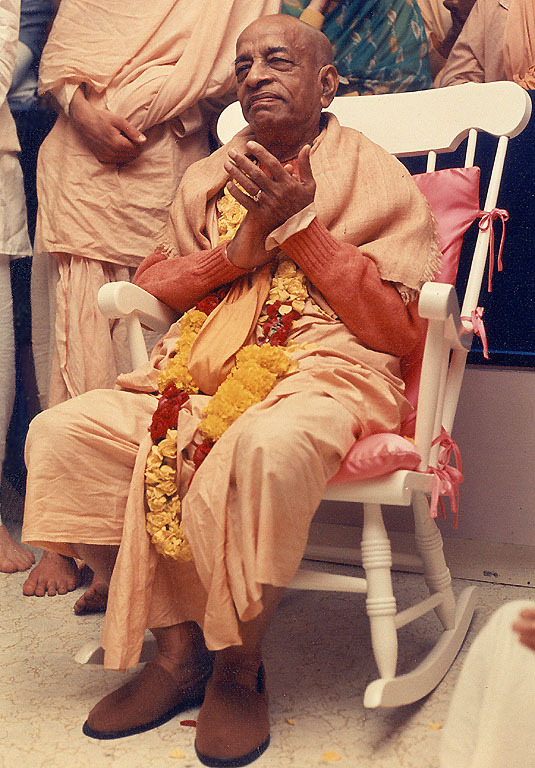 In Los Angeles many fathers and mothers used to come to see me to express their feelings of gratitude for my leading the Kṛṣṇa consciousness movement throughout the entire world. Some of them said that it is greatly fortunate for the Americans that I have started the Kṛṣṇa consciousness movement in America. But actually the original father of this movement is Lord Kṛṣṇa Himself, since it was started a very long time ago but is coming down to human society by disciplic succession. If I have any credit in this connection, it does not belong to me personally, but it is due to my eternal spiritual master, His Divine Grace Om Viṣṇupāda Paramahaṁsa Parivrājakācārya 108 Śrī Śrīmad Bhaktisiddhānta Sarasvatī Gosvāmī Mahārāja Prabhupāda. pitā—father; asi—You are; lokasya—of all the world; cara—moving; acarasya—nonmoving; tvam—You are; asya—of this; pūjyaḥ—worshipable; ca—also; guruḥ—master; garīyān—glorious; na—never; tvat-samaḥ—equal to You; asti—there is; abhyadhikaḥ—greater; kutaḥ—how is it possible; anyaḥ—other; loka-traye—in three planetary systems; api—also; apratima—immeasurable; prabhāva—power. The Lord Kṛṣṇa is worshipable as a father is worshipable for his son. He is the spiritual master because He originally gave the Vedic instructions to Brahmā, and presently He is also instructing Bhagavad-gītā to Arjuna; therefore He is the original spiritual master, and any bona fide spiritual master at the present moment must be a descendant in the line of disciplic succession stemming from Kṛṣṇa. Without being a representative of Kṛṣṇa, one cannot become a teacher or spiritual master of transcendental subject matter. The Lord is being paid obeisances in all respects. He is of immeasurable greatness. No one can be greater than the Supreme Personality of Godhead, Kṛṣṇa, because no one is equal to or higher than Kṛṣṇa within any manifestation, spiritual or material. Everyone is below Him. No one can excel Him. The Supreme Lord Kṛṣṇa has senses and a body like the ordinary man, but for Him there is no difference between His senses, body, mind and Himself. Foolish persons who do not know Him perfectly say that Kṛṣṇa is different from His soul, mind, heart and everything else. Kṛṣṇa is absolute; therefore His activities and potencies are supreme. It is also stated that He does not have senses like ours. He can perform all sensual activities; therefore His senses are neither imperfect nor limited. No one can be greater than Him, no one can be equal to Him, and everyone is lower than Him. Whoever knows His transcendental body, activities and perfection, after quitting his body, returns to Him and doesn’t come back again to this miserable world. Therefore one should know that Kṛṣṇa’s activities are different from others. The best policy is to follow the principles of Kṛṣṇa; that will make one perfect. It is also stated that there is no one who is master of Kṛṣṇa; everyone is His servant. Only Kṛṣṇa is God, and everyone is servant. Everyone is complying with His order. There is no one who can deny His order. Everyone is acting according to His direction, being under His superintendence. As stated in the Brahmā-saṁhitā, He is the cause of all causes. tasmāt—therefore; praṇamya—after offering obeisances; praṇidhāya—laying down; kāyam—body; prasādaye—to beg mercy; tvām—unto you; aham—I; īśam—unto the Supreme Lord; īḍyam—who is worshipable; pitā iva—like a father; putrasya—of a son; sakhā iva—like a friend; sakhyuḥ—of a friend; priyaḥ—lover; priyāyāḥ—of the dearmost; arhasi—You should; deva—my Lord; soḍhum—tolerate. Kṛṣṇa’s devotees relate to Kṛṣṇa in various relationships; one might treat Kṛṣṇa as a son, one might treat Kṛṣṇa as a husband, as a friend, as a master, etc. Kṛṣṇa and Arjuna are related in friendship. As the father tolerates, or the husband or master tolerates, so Kṛṣṇa tolerates.